Aircraft Fasteners stocks a large range of floating nut plates used in the aircraft, aerospace, electronics and defense industries. 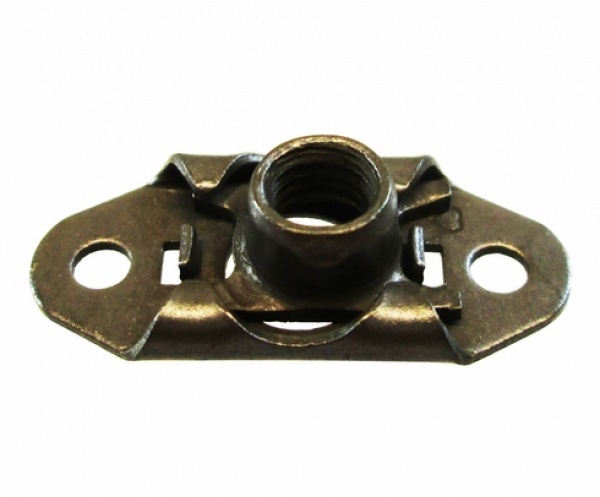 Floating nut plates are low profile and lightweight plates used to install a captive nut behind a panel. The floating nut allows for an assembly that is not perfectly aligned. Materials are carbon steel, iron alloy and corrosion resistant steel. Floating nut plate finishes include cadmium plate, silver overall and dry lubricant. Our floating nut plate inventory includes many hard to find sizes from the industry leading suppliers such as Alcoa Republic. Please Contact Us for help with floating nut plates.